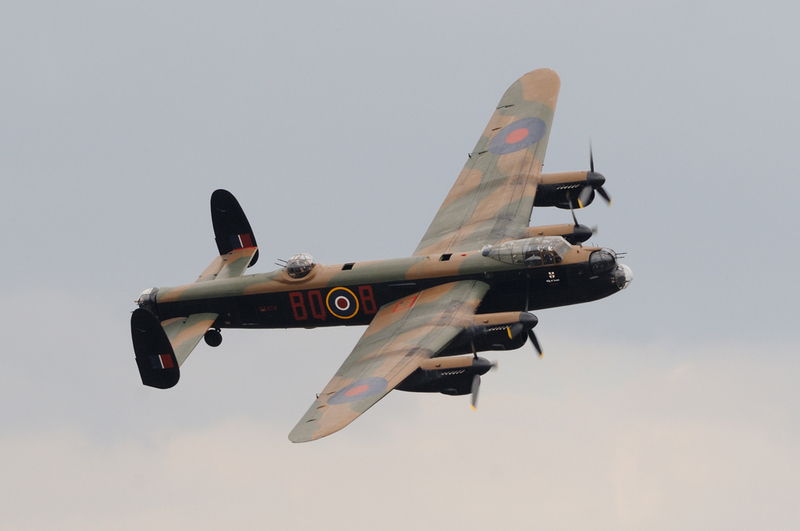 There are few aircraft that can raise such emotion at an airshow than the Lancaster. From the young to the old there are not many who are not moved by the sight and sound of this icon. PA474 is operated by The Battle Of Britain Memorial Flight, who fly the aircraft from RAF Coningsby. The aircraft was built by Vickers-Armstrong Chester in 1945. It was intended that the Lancaster be sent to the Far East as part of Tiger Force. However, with the war in the East won PA474 was not required and was placed into storage. Following the removal of the aircraft's gun turrets, PA474 was assigned to No 82 Squadron who undertook photographic reconnaissance duties in East and South Africa. PA474 returned from 82 Squadron to the UK in August 1952 and went to Flight Refuelling Ltd at Tarrant Rushton. It was intended that the aircraft be converted into a pilotless drone. Luckily this did not happen as the Air Ministry decided to use a Lincoln. Later in 1952, PA474 moved to Royal College of Aeronautics for trials on the Handley Page Laminar Flow wing. The trial wings were mounted vertically on the upper rear fuselage. Following on from this PA474 went on to feature in the films, The Guns Of Navarone in 1961, Operation Crossbow in 1965 and the Pathfinders TV series in 1972. In 1964 PA474 came under the care of the Air Historical Branch (AHB). 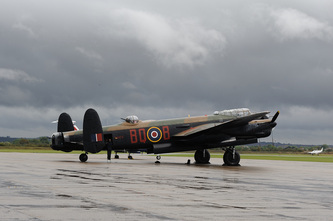 It was considered that the Lancaster could be displayed at the Royal Air Force Museum in Hendon. This plan did not come fruition as the Commanding Officer of No 44 Squadron made a request to the AHB for PA474 be sent to RAF Waddington. The intention was for the aircraft to come under of the care of No 44 Squadron. The request was granted and PA474 was inspected and found to be in good condition. 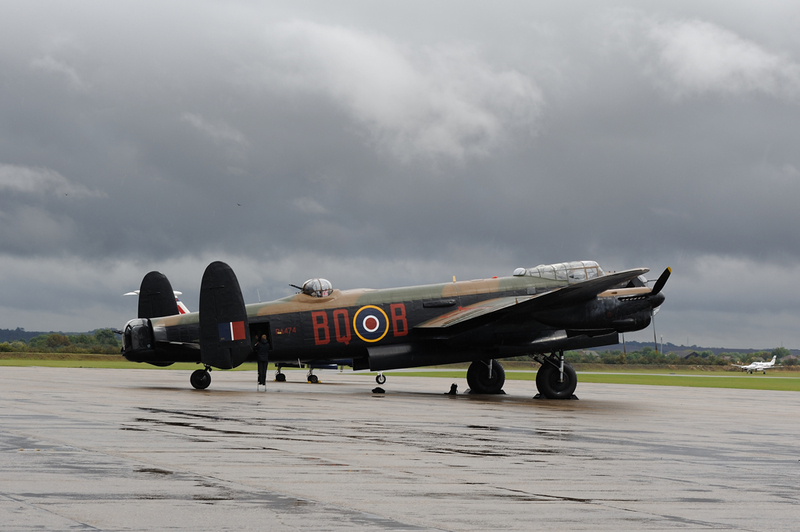 This allowed the aircraft to make a flight from RAF Henlow to Waddington. In 1966-67 restoration work took place at Waddington with the front and rear gun turrets being refitted. In 1967 permission was granted for PA474 to be flown on a regular basis. 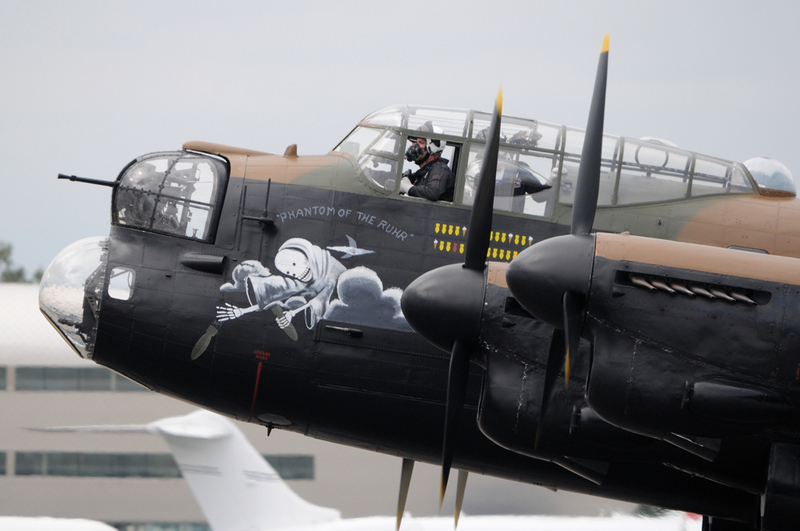 In 1973 the Lancaster was transferred to the Battle Of Britain Flight, which changed its name to the Battle Of Britain Memorial Flight. In 1975 a mid upper gun turret was sourced from Argentina and brought to the UK for fitting. 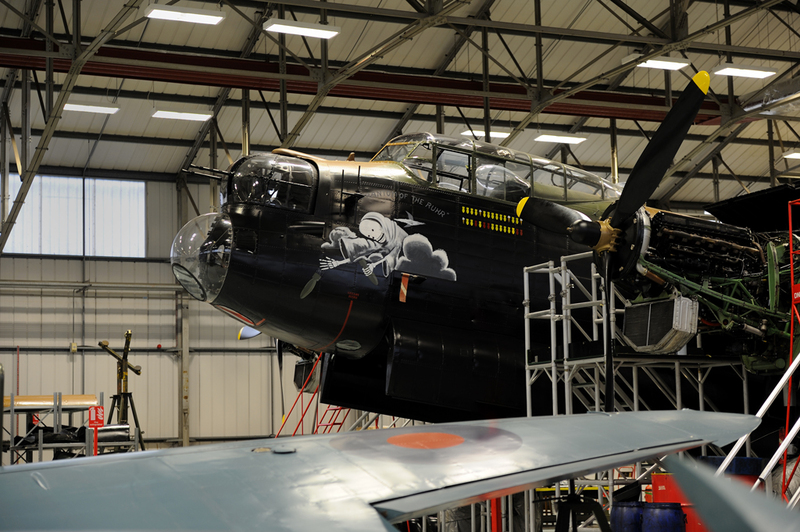 In 1995 PA474 had her main spar replaced, which has assured her airworthiness into the future. 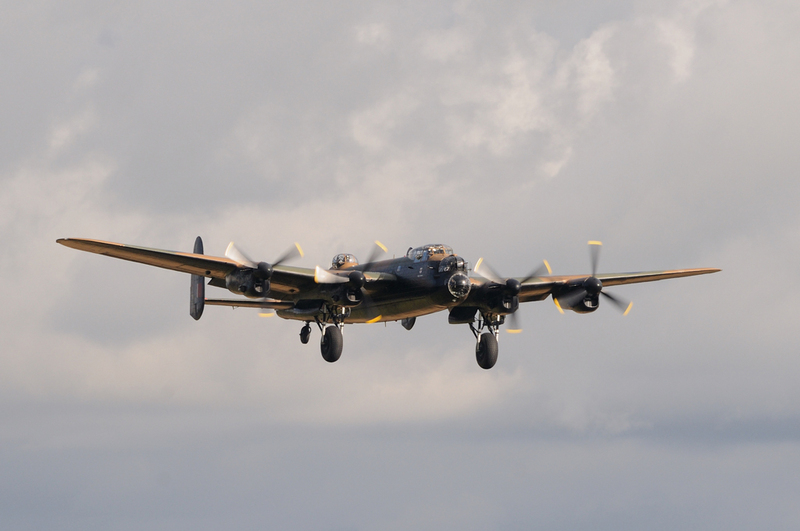 Today PA474 is often seen at UK Airshows and other events where flypasts take place. 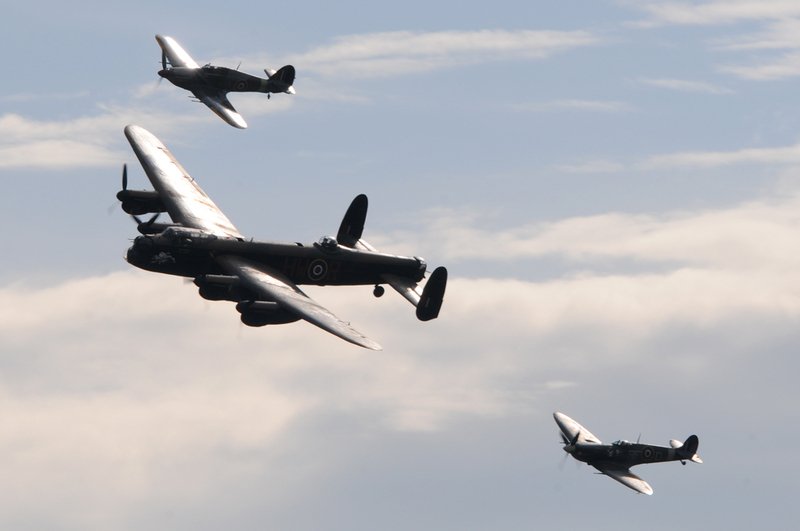 It is a fitting tribute to all those who served in Bomber Command that we are still able to savour the sight and sound of those four Merlins, as the Lancaster performs her displays.